The majority of Icelanders believe in, or at least refuse to the deny the existence of elves, trolls, and other hidden beings. Cut off from the rest of the world for centuries, Icelanders developed a rich storytelling tradition and stories about elves and hidden people are still part of their heritage today. 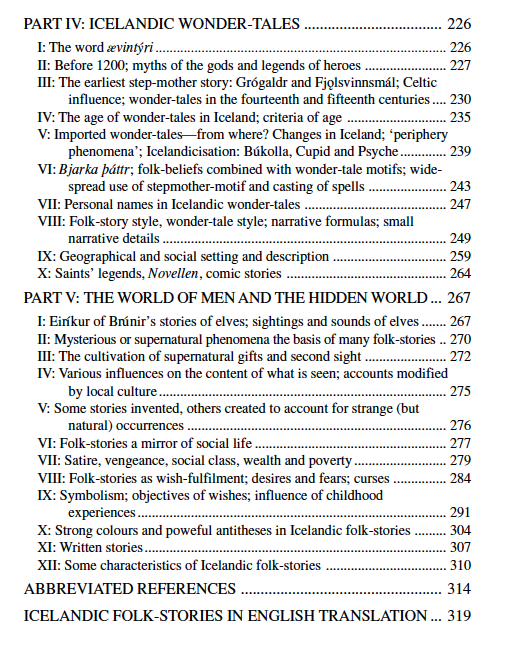 “The folk-stories of Iceland“: (PDF) Pg21 has a nice section explaining the different types of fairy tale stories. 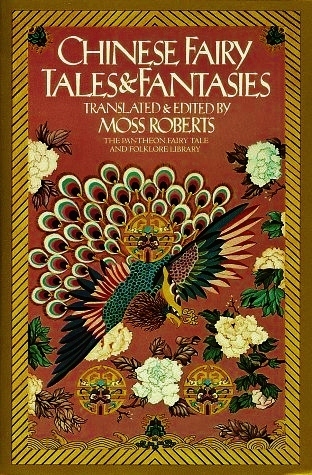 Overall this document is good reading for an academic understanding all types of folk-tales. 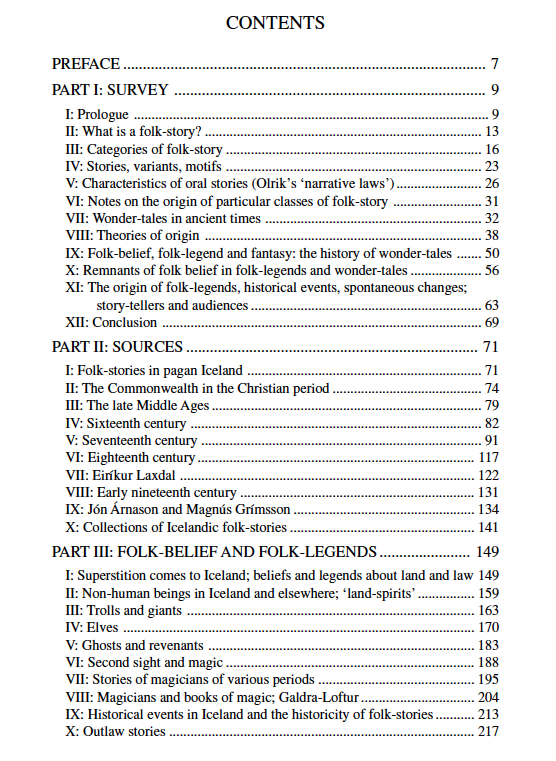 The table of contents are shown at the end of this post. To assist festival-goers in further developing their digital literacy skills and establishing a personal digital identity, each week we highlight a different topic being sponsored by the Bank of DS106 Assignment with volunteer support from the Open DS106 community. This week we offer “Telling Stories in Photos“. Rather than specifying “assignments” everyone is encouraged to learn more about the topic, Telling Stories In Photos, by visiting the Open DS106 Syllabus and choosing something to create from an array of visual based digital projects. Each project links to examples of work completed by others. They also include links to tutorials that can help you learn how to complete the work. By tagging your web related posts (either on the Burgeron Family blog or a personal blog) with both VisualAssignments and Visual Assignments#### your work will be added to the list of examples. I found these tips for writing up ds106 Assignments in a blog post most helpful. Icelandic tales tell of enigmatic elves and other beings – some horrible, some milder. Many folktale motifs of Norwegian folklore may be found too. The somewhat darker tone of Icelandic tales presumably reflects Icelandic ways of life earlier. 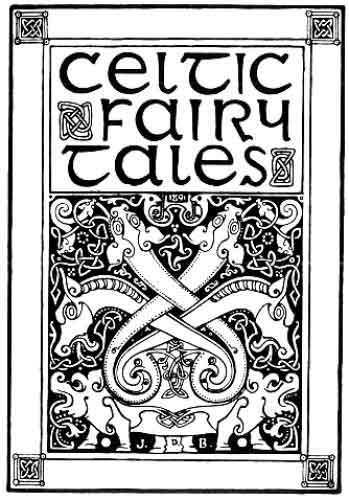 Folktales illustrate, explain, warn and entertain. Ghosts and fairies pop up to such ends, as do trolls and giants. The Around The World workshops at the Annual Bovine County Fairy Tale Festival are in full swing with continued learning, reading, storytelling, writing, creating art, and much more. We were encouraged to visit Holland this week and try our hand at working with the web. My research into Dutch fairy tales began a few weeks back when Professor Ryker T. Stork arrived at the Burgeron place. 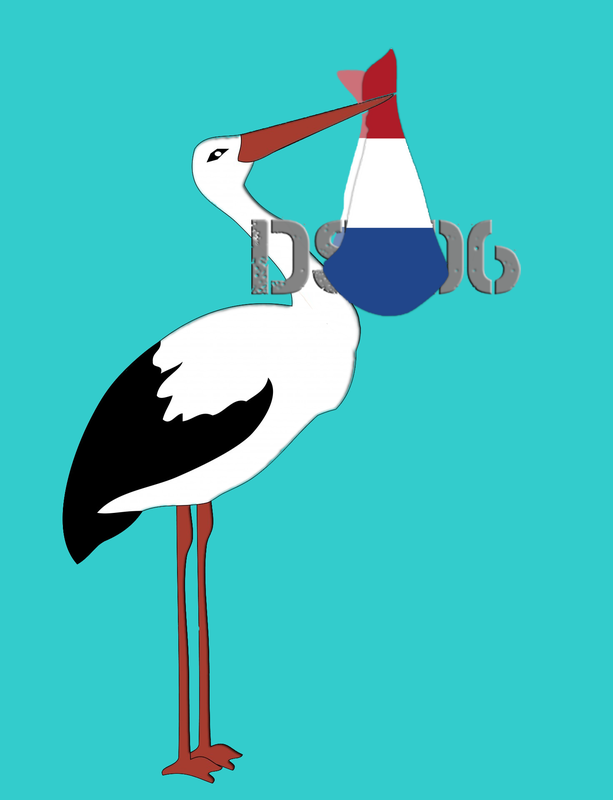 If you look close at our website banner you can see that he’s taken up residence atop my shed in the large nest that Cousin Ron made for him- as I learned is common in the stork world through reading Dutch fairy tales like “Why The Stork Loves Holland”. The “why storks deliver babies” thing was an interesting aside. For a Web Assignment I took a trip to the Bank of DS106 Assignments to see what piqued my interest. I decided WebAssignments1644, “Email! Email! Read All About It!” was something I wanted to invest in. As directed, I opened an account at Vertical Response. It was a painless process that went smoothly, and it’s FREE for small newsletter distributions like what we have here in Bovine County and the Fairy Tale Festival. The user interface to create the newsletter and e-mail distribution list were straightforward. There are templates with somewhat limited formatting choices, but that actually made it easier. (I saw an option for using your own HTML code, but I haven’t followed up on that yet.) I could go in and make an adequate newsletter very quickly. Seeing in-app previews for both laptop and mobile devices was a real bonus. Sending draft copies to myself helped me to fine-tune the layout and links. I always like to test things out on myself before subjecting my friends and family to my projects. As noted in the assignment directions, there’s no easy way that I could find even, to embed a copy of the newsletter into our blog. And after much trial and error I found that I could hover over the “View Online” link at the top of the e-mail newsletter, then right-click to “copy address”. I’m hoping this turns out to be a successful workaround to provide a link to the online version of the newsletter. I haven’t tested it on anyone else yet though. Let me know what happens for you. I wanted to have an actual embedded newsletter with active links in my post here. Simply copying the newsletter didn’t work well. I then settled for recreating an image of the newsletter, so at least you could see what I’d created. I pulled up a preview copy of the newsletter, using the Grab app on my iMac I capture the image in three parts. I then opened and combined the layers in Photoshop to produce the image below. I briefly considered recreating the live links with a recently discovered feature the “Slice Tool” in Photoshop that allows you to create hyperlinks on an image. The effort to add that fine-detail wasn’t worth it this time around. Maybe with my next project…. The Bovine County Fairy Tale Festival is underway. Our weekly Around The World workshops are a place to learn more about a culture and to build your creative digital muscles. Participate in a workshop anytime or dip your digital toe into all nine! My heart nearly gave out a few weeks back as a stork flew in, out-of-the-blue. I thought he was delivering a baby for ol’ Nanalou. But no… nothing like that. It was Professor Ryker Teunis Stork, world renowned scholar of Dutch Fairy Tales and Proverbs from the University of Amsterdam. On the invitation of Cousin Ron he had flown in to spend his sabbatical teaching Dutch Folklore workshops at our Bovine County Fairy Tale Festival. After meeting Professor Ryker I was so excited to learn more about the Dutch culture that I jumped right into losing myself in the Google, entering new search terms and following link after link. Here are a few the family might be interested in. To assist festival-goers in further developing their digital literacy skills and establishing a personal digital identity, each week we highlight a different topic being sponsored by the Bank of DS106 Assignment with volunteer support from the Open DS106 community. This week we offer Working the Web. Rather than specifying “assignments” everyone is encouraged to learn more about the topic, Telling Stories Within the Web, by visiting the Open DS106 Syllabus and choosing something to create from an array of web based digital projects. Each project links to examples of work completed by others. They also include links to tutorials that can help you learn how to complete the work. By tagging your web related posts (either on the Burgeron Family blog or a personal blog) with both WebAssignments and WebAssignments#### your work will be added to the list of examples. I found these tips for writing up ds106 Assignments in a blog post most helpful. Did you know due to the maritime and economic power of this area of provinces in the 17th century, the Netherlands became known worldwide as Holland. To make matters even more confusing the inhabitants of the Netherlands are called Dutch and their country, the former County of Holland, roughly consists of the two Dutch provinces of North Holland and South Holland. You can learn more about the Netherlands with a visit yourself to Wikipedia. I’d also recommend checking out the World Atlas for a quick history lesson. And if you’re lazy … watch this short video which will explain all to you about the Kingdom of The Netherlands in 4 minutes. We invite you to visit any or all of the Around the World workshops being held this summer at the #Burgeron106 Bovine County Fairy Tale Festival.